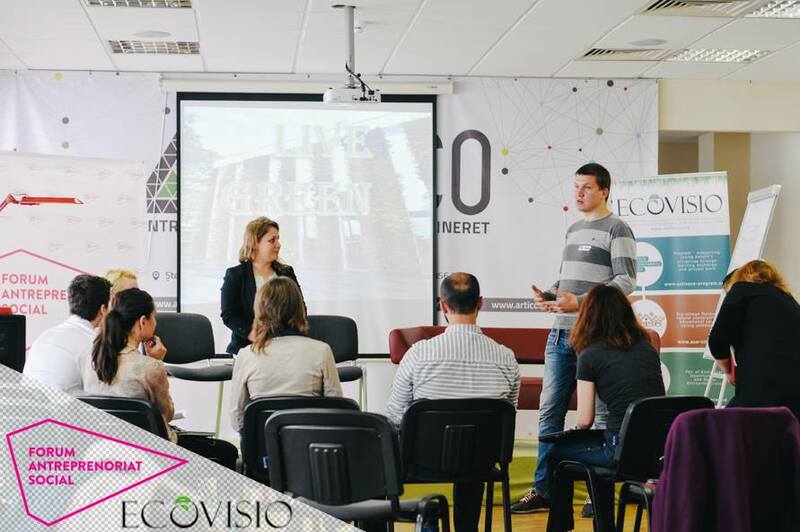 Looking for solutions to the environmental, social and economic problems that our country faces, the “EcoVisio” Association has gradually become involved in the field of Social Entrepreneurship. 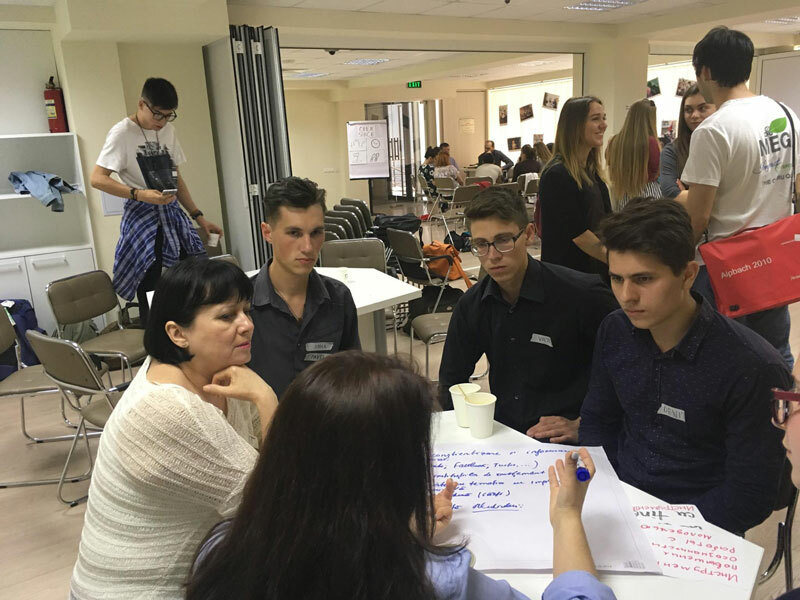 The Social Entrepreneurship has a great potential to contribute to social-economic development of Moldova in a sustainable way, through youth self-employment and job creation, through developing products and services with a positive impact or orienting the profits towards social needs. So, at first, it was introduced as a new element of the activEco program and another aspect of IarmarEco, primarily an ecological fair, but since 2014, the Fair not only of Ecological Opportunities, but also of Social Entrepreneurship. In 2015, however, the team succeeded in consolidating its forces and ideas and organized the first „Social Entrepreneurship Forum in Moldova”, and then, based on the experience of the first and even more ideas gathered during the course of the next year - the second, and in 2017 - already the third. The Social Entrepreneurship Forum is a perfect occasion to exchange experiences in this field, to discover new opportunities and find business partners. The participants of the event are able to learn the success stories of many local entrepreneurs, as well as their plans for the future regarding social projects. And of course, they are invited to discuss their own project ideas, and receive valuable feedback from experienced entrepreneurs. In 2017, the Social Entrepreneurship Forum - already in its third edition - was organized in collaboration with Moldova Rebranded. The partners of the Forum are: the Ministry of Youth and Sports, Academia Nicolae Dumitrescu and DVV International Moldova. techniques and strategies of selling the "story" behind social products / services. All of those were viewed in two aspects: 1) What we have and what we don't have, and 2) Methods and solutions. As a result, the participants - including international guests from Armenia and Azerbaidjan - learned about the existing initiatives and planned several new projects to be realized in cooperation. 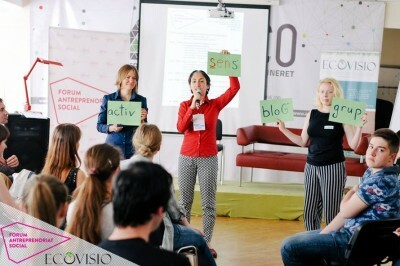 More photos from the SE Forum III can be found on EcoVisio Facebook page. In the second part, the official opening of the event took place, moderated by Valeria Șvarț-Gröger, EcoVisio; the key note speaker was Anca Elena Gheorghică din Iasi, representing the Association <Mai Bine and the project Redu. During the first panel of the event, "Active Moldova", the participants spoke about the existing social initiatives of Moldova, about the difficulties they encounter and about what makes them continue. After a break for refreshments and networking, the second panel followed, "Opportunities for Business". 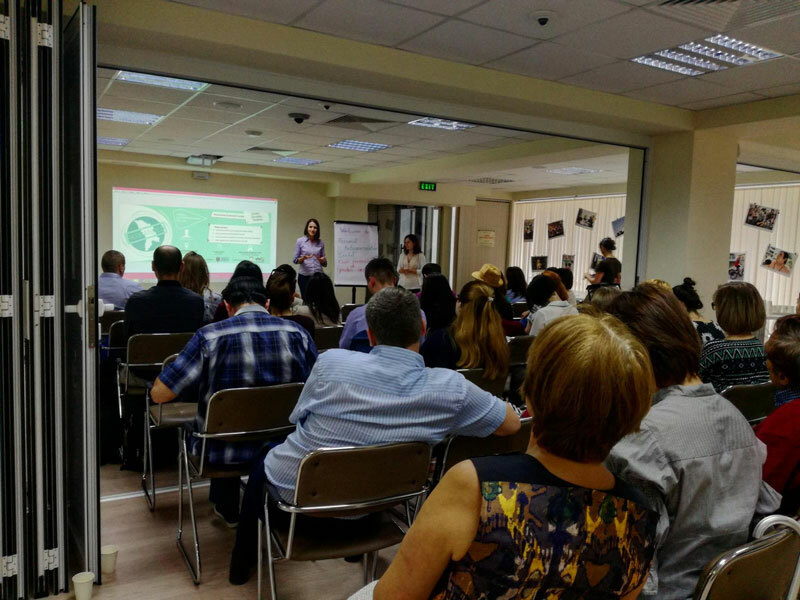 In its framework, the guests found out about the existing opportunities to transform a project into a business by obtaining grants, as well as by becoming member of an association that aim to ease the process of founding a small enterprise in Moldova. The event was attended by around 100 people active in the field of social entrepreneurship, social activists, students and other people who wanted to learn more about this area. Besides, the participants of the activEco - Sustainable Development branch and their future mentors also came to get acquainted with the community. More photos from the SE Forum II can be found on EcoVisio Facebook page. The first Social Entrepreneurship Forum took place on April 29, 2015 in Chisinau. The main idea of the Forum was to bring together relevant actors of the field, as well as activEco participants and alumni, friends and partners in order to define the concept of social entrepreneurship, share inspirations and best practices, and develop the sector together. Open Space – networking session for all the participants, discussing various issues Moldova faces and exchanging resources – sharing the things the activists could support each other with. Besides that, the Forum included an exposition of products and services with social impact. Academia Nicolae Dumitrescu, represented by Peter-Vlad Ianusevici and having a mission to change our society – together. The Academy’s team does that through training, coaching and organization development. “Dulce Plai”, represented by Liza Mamaliga – a social enterprise that practices and promotes beekeeping as a solution for rural development and biodiversity conservation, and sells honey and other bee products that are essential for people’s healthy nutrition and healthy lifestyle. EduJoc, represented by Igor Hincu and Victoria Novac – a social enterprise focused on developing children's creative and intellectual potential through offering a wide spectrum of games and toys, especially the wooden ones made in Moldova. “Floare de cires”, a social enterprise founded by “Eco-Razeni” Association and providing catering services for various events, while engaging people with disabilities, - represented by Eugeniu Gurau. MARA Woman, represented by Elena Scurtu – aiming to provide women from rural areas of Moldova with access to jobs, trainings and a community worth living in. Having employed a number of women from Scoreni, MARA produces handmade knitted accessories for women and men. 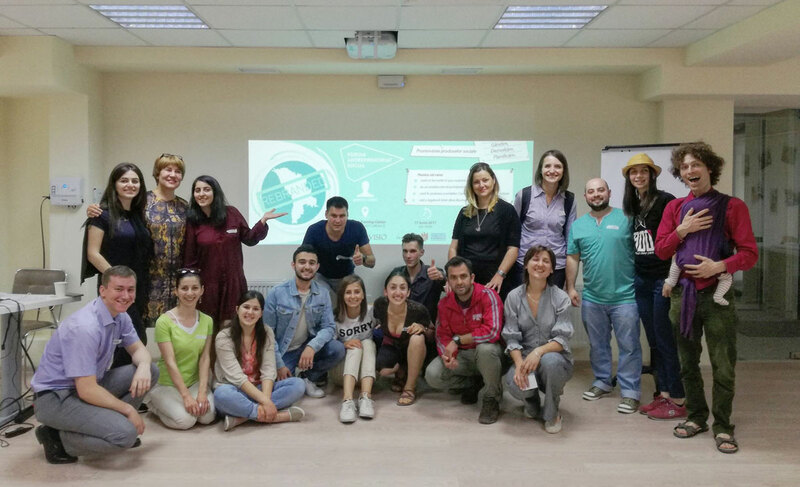 Another special guest was also Yanina Taneva from Bulgaria, organizer of the Forum of Social Change and Open Education in Eastern Europe, "Empatheast" (2014) and channel of many other innovative ideas. The activEco partiipants, as well as other visitors, could see the success stories and each others’ new projects, test their own ideas, recieve valuable feedback and find opportunities and partners with the help of facilitated networking. 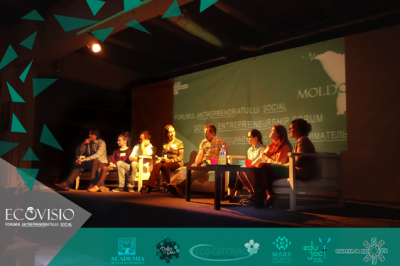 Based on the success of this first event, and even more experience and ideas accumulated on the course of 2015, the second edition of the Social Entrepreneurship Forum was held at the end of May 2016.